Compared to washing your patio or car with a garden hose, a commercial pressure washer will always be a better option. Where a garden hose generates only 40 PSI or pressure, a commercial washer can make 1000 to 4000 PSI of pressure depending on how much you are willing to spend. This guide will focus on affordable models and what you should look for when purchasing them. Be it commercial or Semi-Pro, the first decision to take is whether you want an electric or gas pressure washer. The pros and cons of either have already been touched upon earlier. Here is a summary of what you can expect from each. ​​Gas Type – ​​​Expect a PSI of 2200 to 4000 with a GPM of 2.1 to 4. Prices start from $250 and upwards. ​​Electric Type – ​​Expect a PSI of 1300 to 2500 and a GPM of 1.3 to 1.8. Prices start from $100 and upwards. 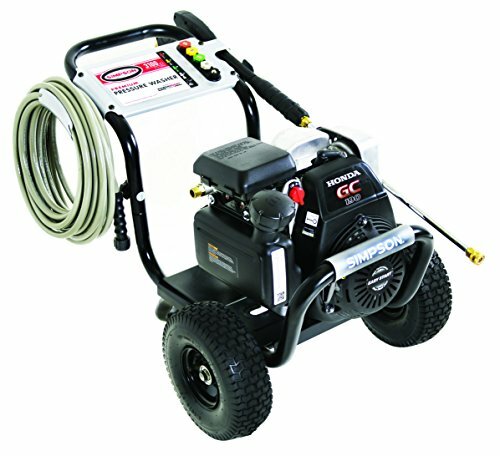 Both gas and electric pressure washers come in various sizes. Some are handheld and portable, others are medium sized and a few are large and bulky. When choosing the right size remember that larger the pressure washer, the more power it generates and hence you can expect a higher PSI and GPM rating. With electric pressure washers, you have a choice between two kinds of motors – Universal or brush motors and Induction or brushless motors. Universal motors are found in cheap and small pressure washers and they handle the job without increasing the costs. If you plan on using your washer rarely then this is an ideal choice. However, they won’t last that long. On the other hand an induction washer is larger, more powerful and lasts longer. They also cost more but they provide a lot more bang for the bucks. With large electric pressure washers and many of the best pressure washers, there is sufficient space onboard to accommodate a detergent tank. This is excellent for many applications as it removes the need to spread detergent on the surface beforehand. With tough stains, water power mixed with detergent is usually more than enough. Moreover, this allows you to use concentrated detergents. Thus if you want a detergent tank you have to go for larger commercial pressure washers. 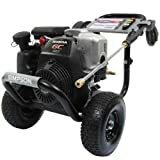 Regardless of whether you choose an electric or a gas operated pressure washer, the pump will always remain the same. 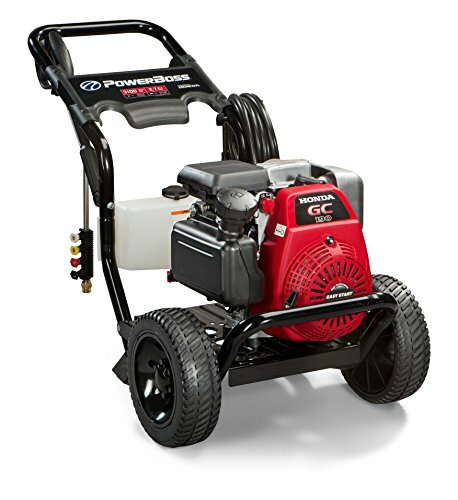 There are two types used in all pressure washers – Wobble and Triplex Pumps. 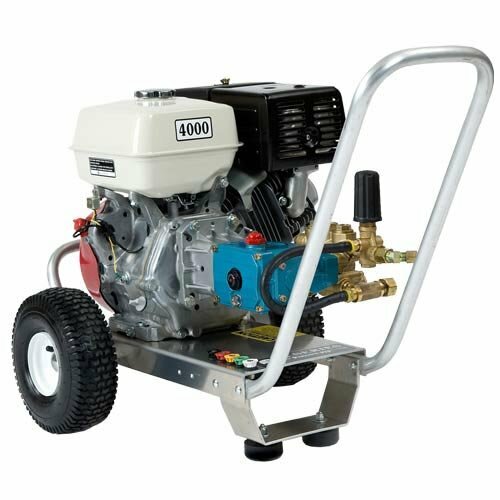 Axial or wobble pumps are seen with cheap pressure washers and handle 60 to 100 hours of use. So they are best for occasional use. However, Triplex pumps last a really long time and offer higher efficiency at a higher PSI and GPM. Plus when a Triplex pump breaks down you can replace the pump rather than getting a new washer. Having a variety of spray tips are a great addition to your pressure washer. They let you tailor the exact spray of water based on the cleaning task. To mix detergent you can go with a wider spray tip and to blast mildew or mold you can use a concentrated jet tip. Usually, you will get the following kind of tips. ​​​Zero Degree – ​Colored red, it projects a concentrated jet of water. ​​15 Degree – ​​Colored yellow, it is for high performance. ​​25 ​Degree – ​​Colored Green and can be used for variety of applications. ​​40 Degree – ​Colored white and is only for sensitive surfaces. ​65 Degree - Colored Black and for detergent mixed low pressure applications.